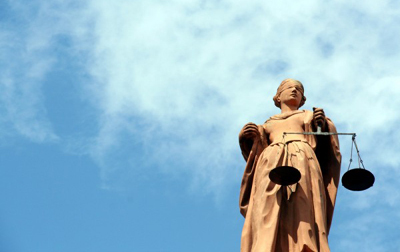 Is Justice Compatible with the Rule of Law? While such an unjust result is indeed appalling, those attacking the court are focusing their anger on the wrong target. And properly diagnosing the problem is a necessary condition for formulating an adequate solution. After explaining what I see as the reasons behind these sorts of legal outrages, I will propose what I think to be the best means of addressing them. Everyone reading this piece is familiar with the phrase “the rule of law.” While there are countless ways to define this concept, its essence is a system in which legal rules are known, impersonal and unambiguous. In an idealized version of the rule of law, everyone knows in advance precisely what conduct law requires and the authorities enforce the rules mechanically and neutrally. Of course, nowhere on Earth has such a perfect system ever existed, nor could it. One reason is the fallibility of human nature—some bureaucrats are biased, some cops are corrupt, some prosecutors lazy and some judges incompetent. A second, less obvious reason is the need for discretion in how the law in enforced. Discretion is what enables the authorities to bridge the gap between law and justice. Yes, you’re speeding, but since you’re just keeping up with the flow of traffic, we won’t pull you over. Yes, we found a bag of weed in your car, but since it’s a small amount, we won’t take your kids away. Yes, you have no legal status in this country, but since you arrived as a toddler, we won’t deport you. Given that it is impossible to define in advance every circumstance that might render the application of a law unjust, only discretion can make it possible to avoid outrageous legal outcomes. But while discretion is necessary to avoid the law becoming a monster, the more discretion the legal system allows, the further it deviates from the ideal of the rule of law. Imagine a country with one law on the books that reads, “No one shall conduct himself in an undesirable manner. Breach of this obligation shall give rise to penalties as appropriate under the circumstances.” A statute that grants the authorities such unfettered discretion to do anything they wish would have given complete legal cover to the entire Nazi regime. And so there is a fundamental tension between making the law predictable and making it flexible. Unfortunately, there is no obvious equilibrium point for striking the right balance between the two. The consensus seemed to be that the problem in the Battisti decision was an unfeeling judge—one typical headline read, “Pennsylvania Court Rules It’s OK to Auction Off Widow’s $280K Home Over a $6 Tax Bill.” But if the law really is as inflexible as the county solicitor suggests it is, then the judge’s hands were tied. He had no choice but to order the seizure of Ms. Battisti’s home, lest he violate the very laws that he is sworn to uphold and enforce. No one wants an unjust ruling, but what if the alternative is judges ignoring the law based on their personal feelings about the case? If the issue is that the law put the judge in a straightjacket, isn’t the solution obvious? As some have suggested, give the court discretion in applying the law. Allow it to waive the interest charges, defer payment to next year or impose a fine in lieu of seizing the house. Wouldn’t that fix the problem? Yes and no. Yes, because it would have allowed him to get Ms. Battisti off the hook. No, because—as we’ve just seen—as the law becomes more discretionary, so it becomes less predictable and more arbitrary. Granted, allowing courts to use some judgement in enforcing school taxes would not seriously imperil the rule of law. But the problem is that every single requirement of every single law has the potential to bring about an unreasonable outcome of the kind that befell Ms. Battisti. If you think that the solution to such cases is to inject more discretion into the legal system, ask yourself what exactly is the brake on this slippery slope. For so long as there are laws that provide for automatic consequences, there will be situations that cry out for making an exception and trigger calls for adding yet some more flexibility. But there is a point at which the law becomes so malleable that it can be forged into whatever the authorities wish it to be. That is the point at which we are no longer governed by laws, but instead by individuals and their personal whims. What mechanism can ensure that we don’t make the law so discretionary that we never reach that point? In a word: none. Instead of making the laws more flexible, a far better solution is to make as little of the human experience subject to legislated rules as possible. Simply put, if the government is not involved in a situation then the tension between legal predictability vs. flexibility simply disappears. For example, if the local school were a private business funded by willing customers—or a voluntary levy on local residents—then, like any private business, it could simply decide to waive payment. And if the contract under which the school collects payments allowed it to seize a person’s house for non-payment, it would need to convince whatever tribunal the parties had agreed would settle their disputes to enforce such a draconian punishment over such a small bill. Incidentally, it’s highly unlikely that private schools would be empowered to seize someone’s home; other than a lender taking security for a loan, it’s hard to imagine any private business finding many customers if it insisted on such a condition. Ms. Battisti’s case is a sad one, and I do hope that the higher court to which she is appealing the ruling finds a way to allow her to keep her home. But when I read of such events, my reaction is not to ask why the government can’t be more reasonable. It is to ask why the government has to be involved at all. By necessity, the state’s behaviour must be governed by laws that define in advance what it can and cannot do. The alternative is the tyranny of a state empowered to do anything it sees fit. The acceptable boundaries of private behaviour, however, are defined not by what is arbitrary, but only by what is harmful to others. You are perfectly entitled to act as capriciously and as haphazardly as you like, so long as you do not infringe on anyone else’s personal liberties. In its conduct, the state must be like a train that follows the tracks laid out for it ahead of time. In theirs, however, individuals are free to be like aircraft—going in whatever direction they like so long as they do not run into one another. Look back at the wording of the hypothetical statute I described above: “No one shall conduct himself in an undesirable manner. Breach of this obligation shall give rise to penalties as appropriate under the circumstances.” That would make for a terrible law indeed. But it makes for a pretty good definition of how people cope with each other in daily life. The way to add more humanity to our dealings with those around us is to remove the state from the equation.